Teaming her white tank with Adidas pants and a Diesel denim jacket, Alia made her way in to the local airport. With her hair in a half-bun, she rounded out the look with oversized tinted glasses, a Balenciaga belt bag and black sandals. She made the off-duty look work! 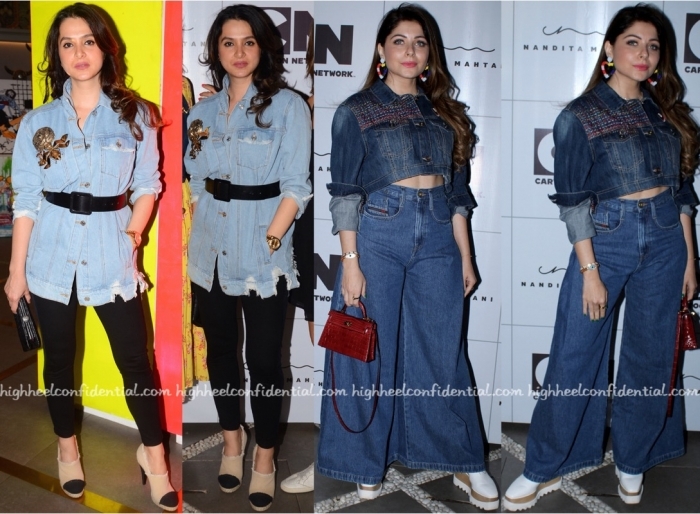 Shop the Diesel denim jacket here and the Balenciaga belt bag here. You’d think the sequin dress + denim jacket would have packed a punch but somehow this combo still didn’t feel very striking. What did you think? For the IIFA 2018 press meet in Bangkok, Varun Dhawan kept it casual in Diesel Black Gold separates. For the green carpet, he opted for a desi spin on a black tie look in Kunal Rawal. 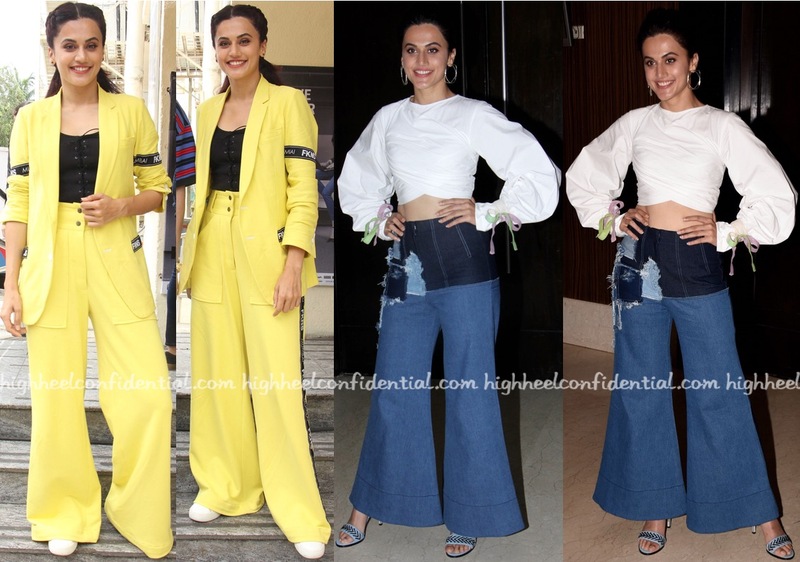 Tell us, which look was your favorite amongst the two? 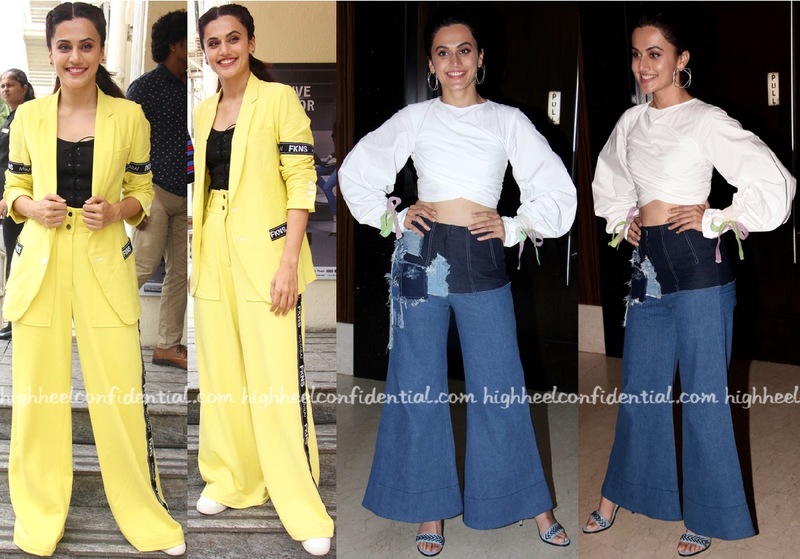 Between the slouchy Narendra Kumar Ahmed suit, and for a lack of better word, “interesting” Diksha Khanna denims (and top), which do you think Taapsee fares better in?